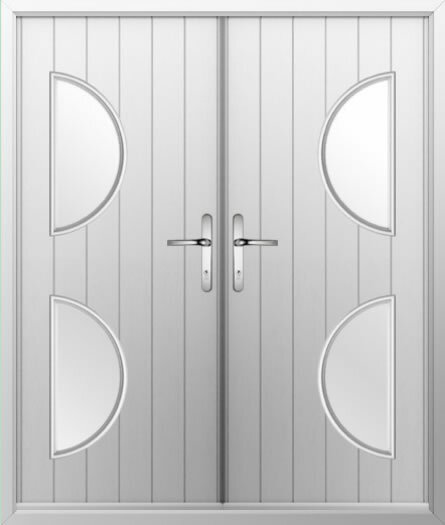 Gone are the days when all exterior doors looked the same. And these composite French doors are testament to this! With two half moon windows on the outer edge of each door, this double composite door will not only entice plenty of natural light into your home, but it also looks great too!